The systems connect with numerous sensors via a Campbell multiplexer. 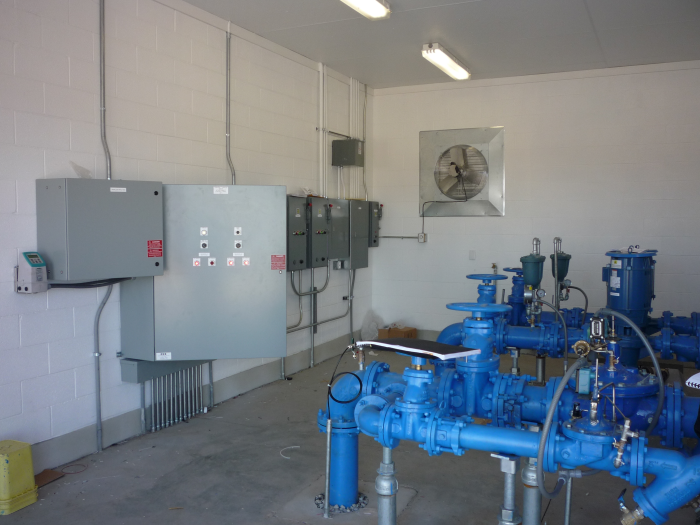 They monitor parameters such as flow and pressure from water sources into tanks and from tanks into the towns, tank level, chlorine water in the water, and flood conditions and chlorine gas leaks at the buildings housing the systems. The CR1000 uses a Campbell SDM-CD8S dc device controller to control pumps and valves, with each town controlling the valves to allow or disallow the water flowing to the other. The system is now completed and has been in operation since May of 2011.